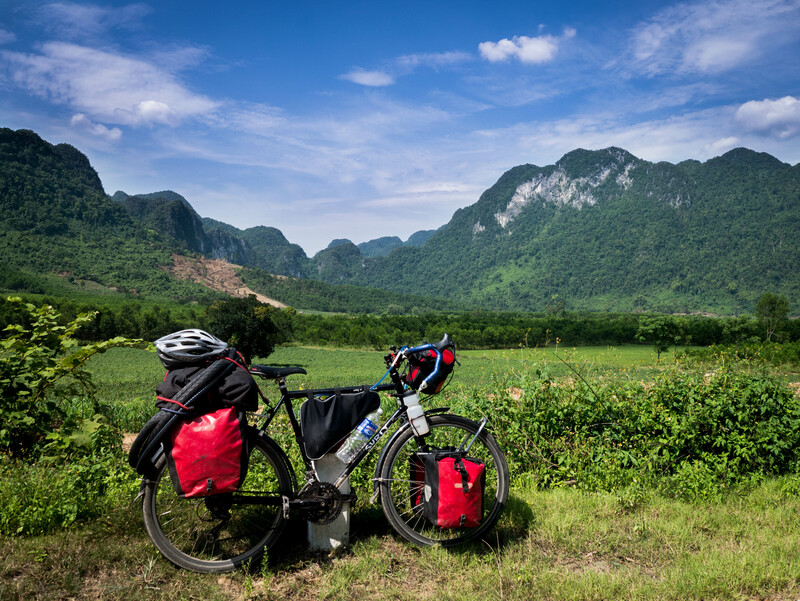 Phong Nha Ke-Bang to Hanoi! 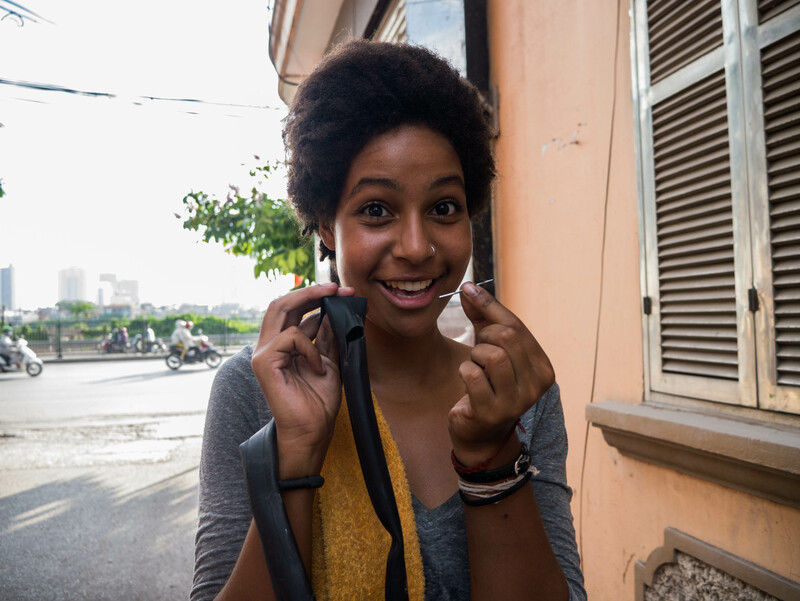 After over 2,750km of cycling through Southeast Asia, we’ve reached our destination of Hanoi! Not much to write about the last few days, except to share the beautiful scenery that we’ve traveled through over the last few days and share some final thoughts on touring in Southeast Asia. We have been fortunate to land here with some awesome young Americans in Hanoi, who have graciously welcomed our smelly selves with open arms. Sophie and I will part ways in a few days when she flies out on the 24th, and I will depart soon after. 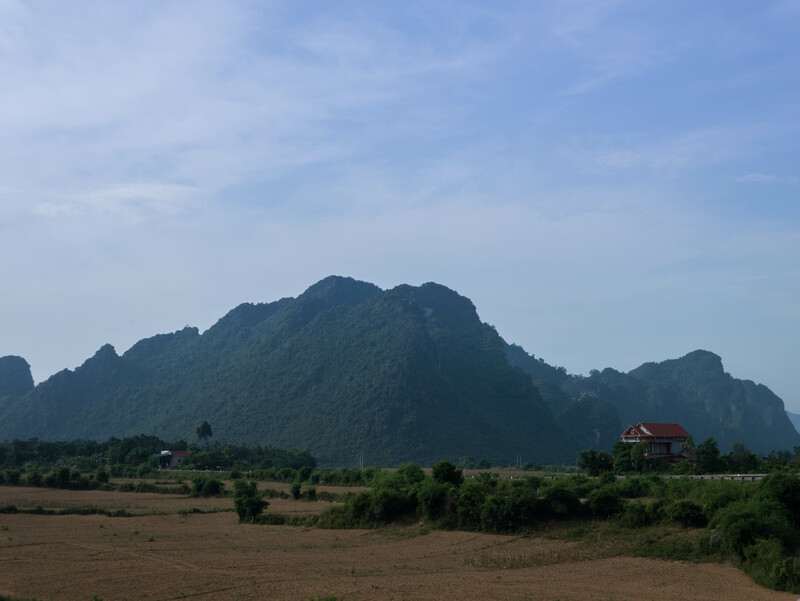 Flat rice paddies with huge limestone towers full of undiscovered caves. 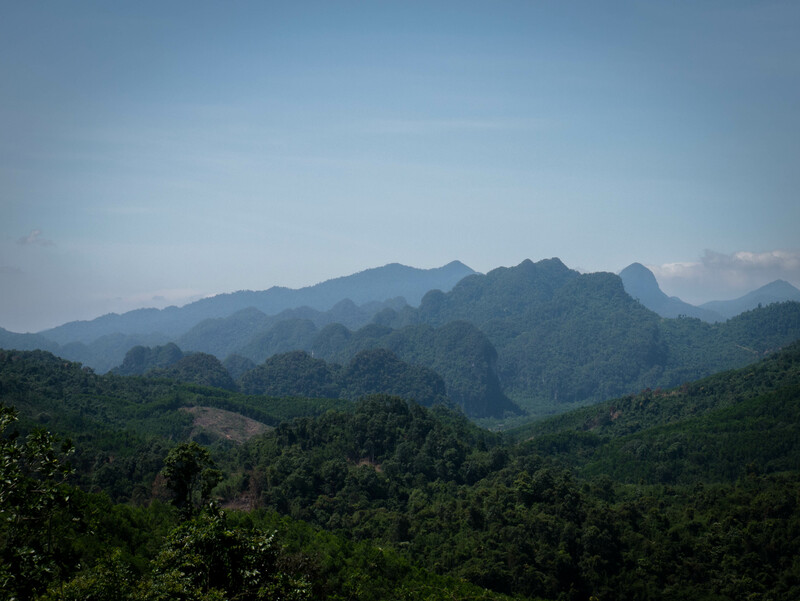 Out of Phong Nha Ke-Bang, we had one final pass to climb over. It was blisteringly hot, and a few annoying headwinds decided to flare up, but it was by no means the hardest we’ve done. The scenery and views also made it bearable. 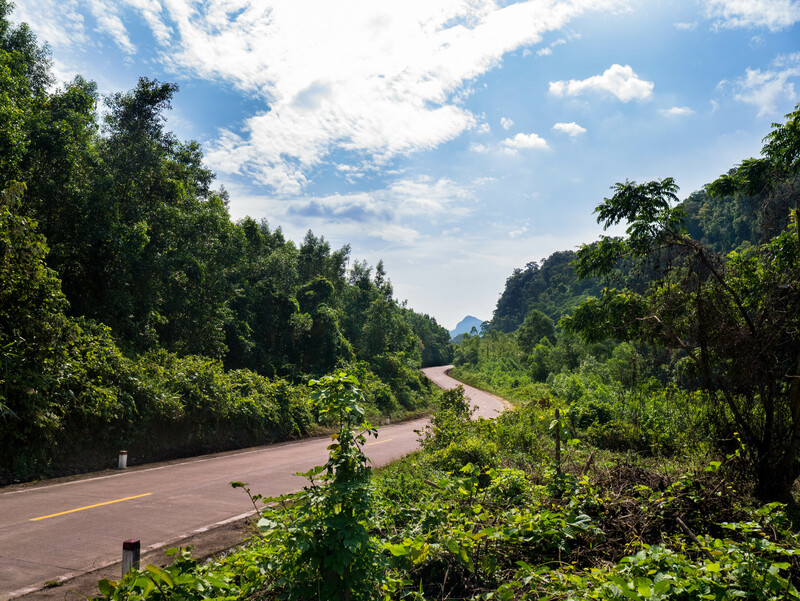 This stretch of the Ho Chi Minh Highway cuts through incredible limestone towers and rice paddies, and has very little traffic and only small rural towns. Sometimes the roads were true jungle roads, slicing through the thick undergrowth. It is very common to see water buffalo and other bovines out here either in the rice paddies or in ditches by the side of the road. Gotta cool off somehow. I’ve mentioned before the attention that we attract out here. One weekend morning, we were buying water and had soon attracted a crowd of about 20 young children. They were cute for about 5 minutes until one of them got the courage to hold out their hand and say “Dollar?” Nice try. Things then went from annoying to slightly worrysome when another kid got a little more courage, put on a malicious grin, held a knife to my wheel and more forcefully said “Dollar? ?” I glared at him, turned to Sophie and suggested we make a quick exit. Urgh. That encounter was a perfect encapsulation of what makes the attention we get in Vietnam just a little more annoying than in Cambodia or Thailand. 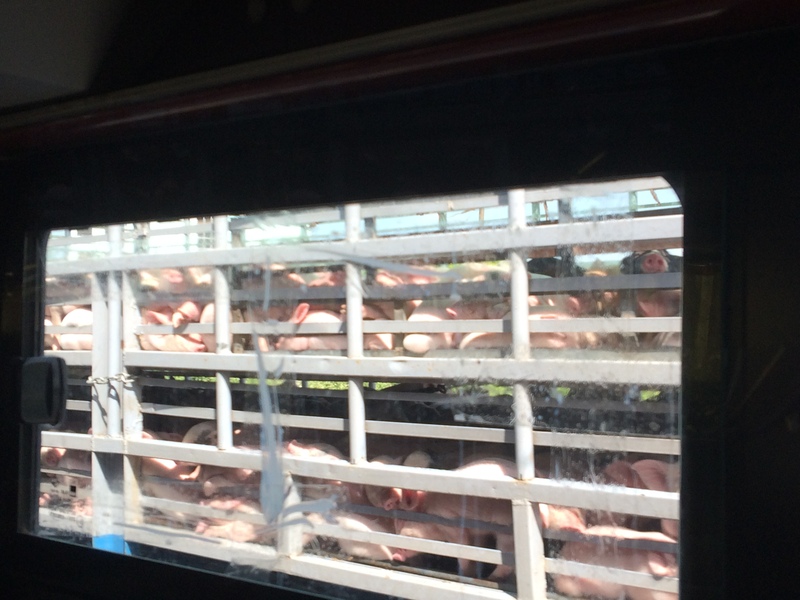 Truck of piglets from our bus. 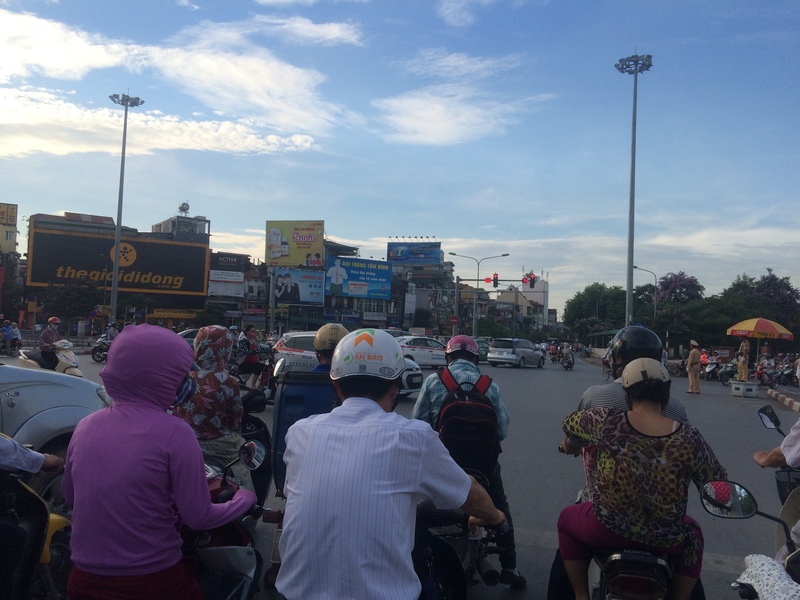 Three days of riding had us in Vinh along the coast, and a bus ride through a sort of drab section of Highway 1 had us in Hanoi about 15km away from where we were going to stay. So, as in Bangkok a month ago, cue a mad adrenaline-fueled dash through a big Asian city. 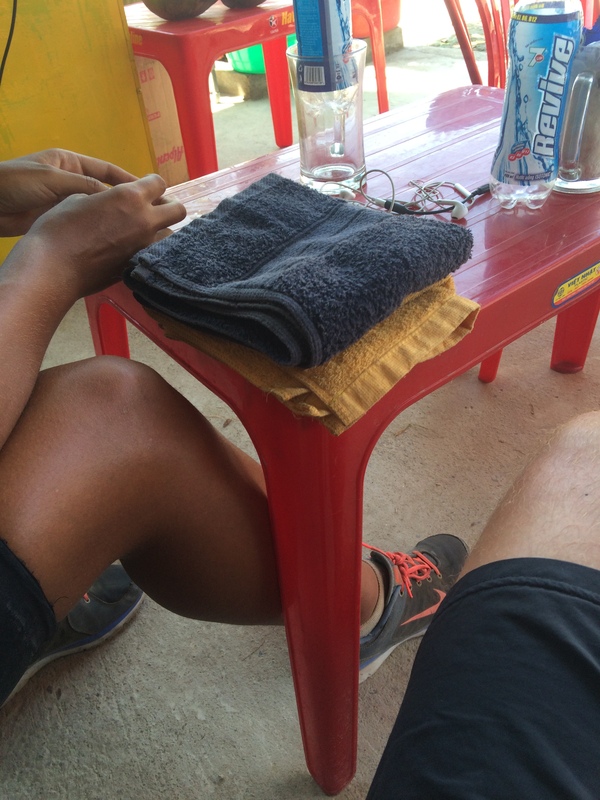 Also, as in Bangkok a month ago, Sophie got a flat tire 5 minutes into said mad dash. We both put on our best zen try-not-to-yell-and-scream-at-the-misfortune faces in the waning daylight and not-waning heat and changed the tire. As it turned out, a 3-inch long nail had punctured the tire, and had ripped an unpatchable hole in the tube. Incredible. Not sure if it happened in the undercarriage of the bus or on the streets. 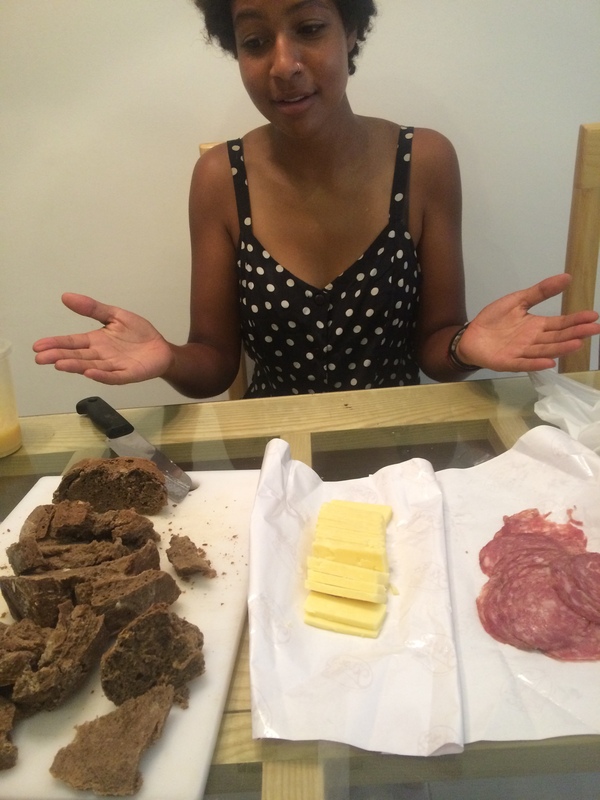 We’re staying in a nice section of Hanoi, so this morning we splurged at a gourmet grocery store on some sourdough, cheddar, and salami. It was, I think, the best thing I’ve ever tasted in my life. This was not the best time of year to do this trip. It was basically the peak of summer. Some people like touring in the rainy seasons, which certainly cools things down but presumably limits your daily mileage quite a bit, but that’s not really the easiest season to tour either. Especially in Cambodia, where the whole country probably turns to a pit of mud. December to January would have been the best time to do this. That being said, part of what has made these experiences so great has been dealing with difficult situations. I say it’s not the best time of the year or not the easiest time of the year, but we got through it. Make adjustments. If you have the time to go, that’s more important than the most optimal weather. 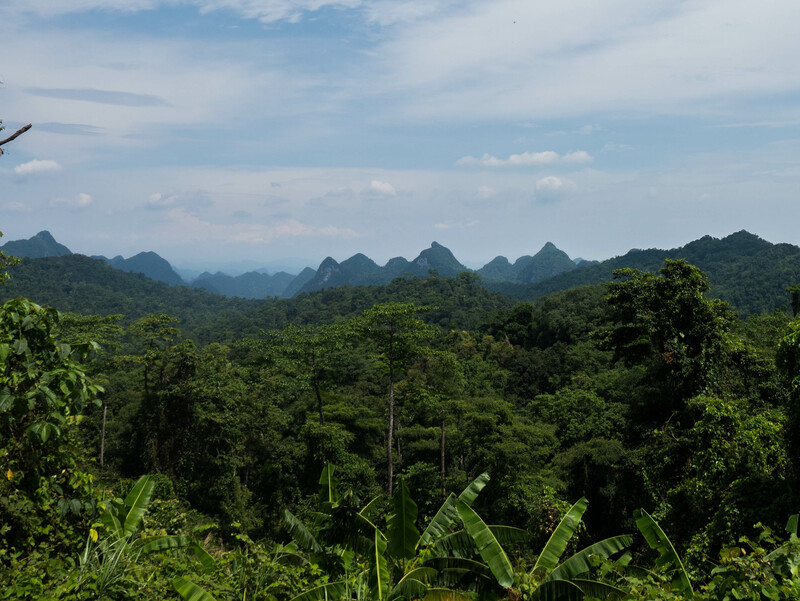 Camping gear isn’t really necessary, but there are plenty of nice places to wild camp in Thailand and along the Ho Chi Minh Highway in Vietnam. It’s too hot in this time of year to camp very much, but another time of year could make it very nice. Bottled water is expensive, and I regretted forgetting to bring my SteriPen. But we made it work. We didn’t get sick very much. Mosquitos weren’t very bad in this season, but Malaria pills are nice to have if you’re going to be really rural. A one-dose French Japanese Encephalitis vaccine can be found in Asian cities for about $30 rather than a two-dose vaccine in the US which costs $500. The vaccine is called IMOJEV. Roads through Cambodia are improving every year. Touring blogs that were written a few years ago are now out of date with respects to road surfaces, and I am sure mine as well will be soon enough. Schwalbe tires are avaliable in Bangkok and at a few more locations along the road. They are generally tough to find here, and Sophie has been riding for awhile on a bad $5 tire made somewhere in Southeast Asia. The difference is like night and day. Schwalbes are supposed to go at least 5-15,000km where her first rubber tire from Cambodia was worn out and burst after about 700km. If you want to not worry about your tires, buy from Schwalbe’s Marathon line in the US with a Kevlar lining, as mine have now gone through 6,000km, about 2,000 on gravel, with a single flat. Don’t forget to bring a sweat towel and put it over your handlebars. Mine is my most disgustingly treasured possession from this trip, and Sophie was distraught when she left hers at a hotel one night. Yes, ours are Pomona-Pitzer colors, and that’s just coincidence. Favorite cold drinks — Manao Soda, Sprite, Coke, Revive Isotonic Drink, Oishi Green Tea with Lime, Ginger Ale. Sophie wore shoes and sometimes Chacos. 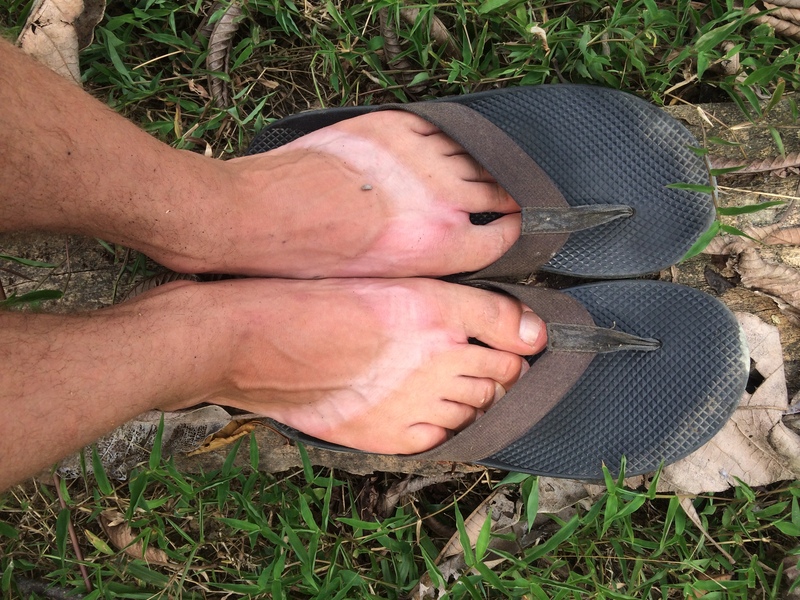 I did this whole trip in flip flops. I don’t know why I did that, but I’m proud of my tan line nonetheless. I will be adding to this list of suggestions and writing more when I get to the Pacific Northwest. Look forward to little pieces on touring alone versus with a partner, gear suggestions, gear cautions, a more formal advocacy for traveling by bike, favorite pictures and other random advice learned from now 5 months and almost 6,000km on the road!